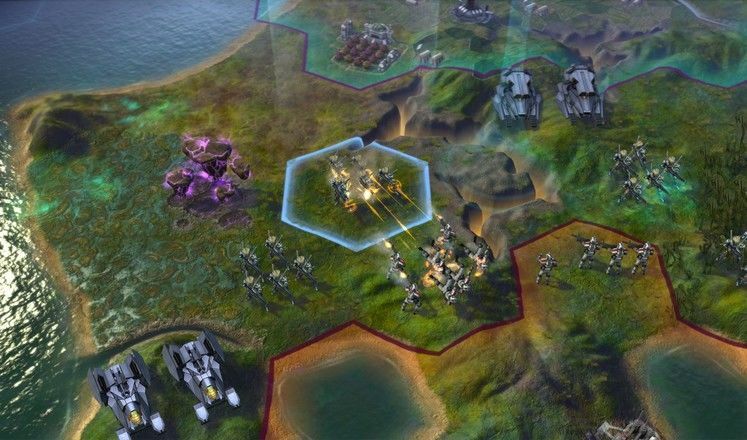 To make clear what Civilization: Beyond Earth truly is to the average gamer familiar with the series and its history, I need to explain something quickly - 2K, and thus Firaxis, the Civilization development team, can't legally make a game called 'Alpha Centauri.' That name sits with EA. For all intents and purposes Sid Meier's Civilization: Beyond Earth is a spiritual successor to Sid Meier's Alpha Centauri, the 1999 space-faring classic so frequently referenced in Civilization titles since. 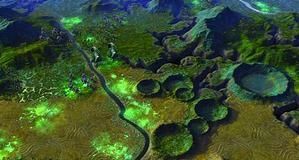 The Civilization name doesn't just bring with it brand recognition, though - it also adds interesting wrinkles to the game, with some systems from the generally well-received Civilization V making it out of orbit and to brave new worlds. Given that we don't know anything about where the future of humanity leads, this title can't lean on that to provide answers to gameplay designers. As such, the game is more about building all-new things rather than those we already know of. There are still concepts like World Wonders, for instance, but they are sci-fi concepts with associated in-game benefits rather than, say, the Pyramids. The game begins with a significantly different tone to Civilization. Your people, fleeing the Earth, can bring a limited set of resources with them to their new planet and home. The game kicks off with you deciding what you want to bring with your limited space, and then you're dumped onto the planet unceremoniously in a scene that isn't dissimilar to the opening phases of a Civ V campaign. One big change is how quickly ideological matters factor into the game - and that is to say, almost immediately. 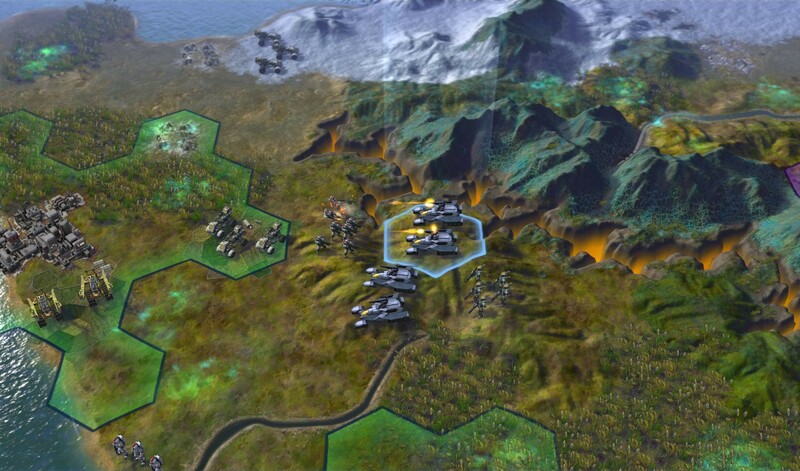 Whereas in Civilization V picking out an ideology path for your people comes as a relatively late game choice, it factors into Beyond Earth's gameplay almost immediately, with those humans who survived whatever catastrophic event befell Earth having rapidly diverging opinions on the way they should live their new lives. These ideas boil down to three different 'affinity' paths - Harmony, Supremacy and Purity. Harmony supporters want humanity to adapt to the conditions of the world they arrive on through any means necessary - even if it means adjusting the very core of humanity itself through genetic engineering. Supremacy supporters want to achieve the same, but through different means, using technology to make humanity more powerful. Purity wishes to do exactly what their name suggests and keep humanity pure - but in doing that, they'll have to change the very face of their new home through terraforming to make it more suitable and Earth-like. Such differing ideologies make for quite significant debates between the different factions, and even in my brief time with the game, it's very quickly indeed you see that usual Civilization-style diplomacy between different world leaders come into play. Affinity has other effects, too - including that the visual design of your city tiles and the like will be determined by your affinity path. Best of all, this isn't something chosen arbitrarily, but something that is decided naturally through the choices you make as the game progresses. Your people could begin with a Purity-slant, but quickly convert to technology if you change your tactical approach to the game, for instance. One of the major ways in which you'll be determining your affinity is through what technology you choose to research and when. Again, being set in the future proposes a challenge. We know what order things were discovered in, so we know what order, roughly, to place a tech tree in. But what about future technology? Here, instead, this is a tech web, a mish-mash that looks a bit confusing at first - essentially, everything connects to everything else. The tech web is far less linear than a typical tech tree, but also has enough niches in it to ensure that different factions will end up wildly different as the game progresses. Some facets of the tree have technologies that can only be researched if you're of a specific affinity, while many branches have specializations within them, areas of sub-research beneath a larger topic that will in turn provide upgrades to units and more options. The question that'll face most players in the tech web is if they choose to focus hard on unlocking everything they can in one area of the tree or if they explore the tree to cast a wider net and see more of what is available - both have their advantages. It's specialisation versus generalisation, and either could come out on top in the end - that decision is up to you. 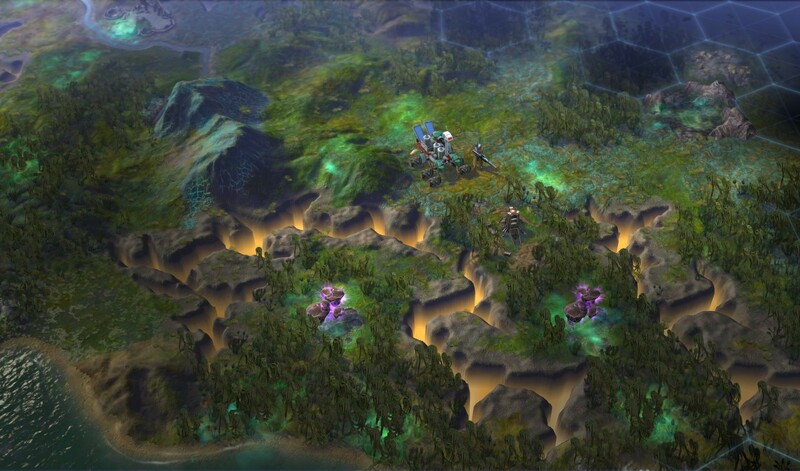 Where Civilization has bandits, Beyond Earth has aliens. They're a powerful force to be reckoned with on the map, and many may want to avoid engaging them early on, which in turn helps to shape expansion plans - how do you expand while avoiding starting a war with the barbaric, dangerous natives? That's another new wrinkle. There are a lot of smaller changes and additions I could talk about for hours, but there's one other thing I specifically want to highlight - and that's the addition of quests. There's now an actual quest log in the game, and while few of these are compulsory, they help to shape the player's experience and give them a little more purpose in how they move about the map. These can help adjust your affinity, too - and so become slightly vital if you're aiming towards a specific one in order to get a specific tech. 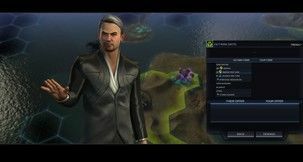 My short time with Civilization: Beyond Earth was incredibly exciting, even though it was one of the quieter things I experienced in the hustle and bustle of E3. It has a slew of new features, and while it certainly resembles Civilization V, it's also quite clearly an all-new beast all of its own. The various new systems mesh with each other, and the old ones, to create what's sure to be a compelling experience. My social life weeps; I have over 200 hours logged in Civilization V already, and it looks as though it's about to happen again. Most Anticipated Moment: Looking at my 'hours played' on Steam a week after launch and feeling incredibly self-conscious.